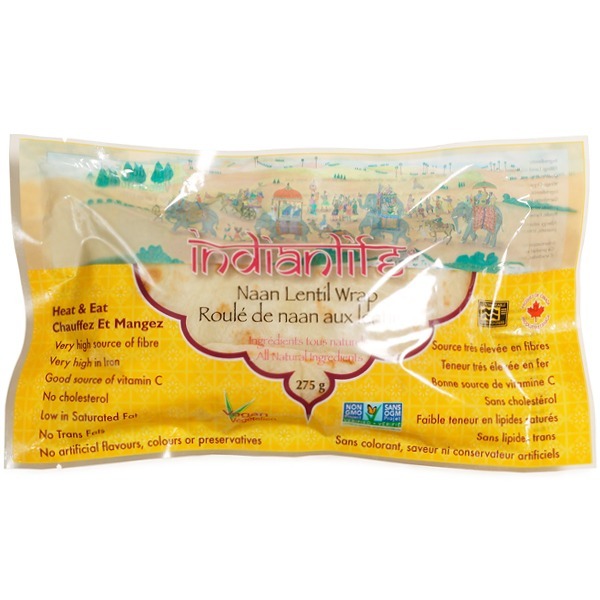 Naan and Lentil Wrap – IndianLife Foods Inc.
Brown Rice and lentil dal with brown lentils for crunchiness provide a quick meal on the go. 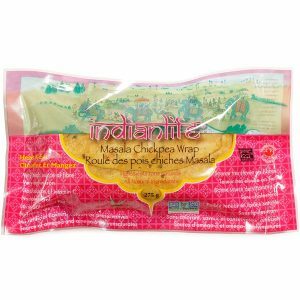 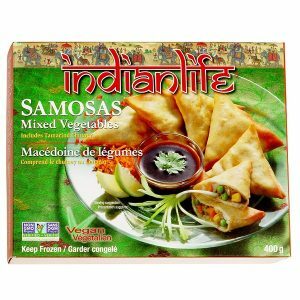 Ingredients: Lentil dal, brown basmati rice, brown lentils, water, onion, garlic, salt, sugar, citric acid, sunflower oil, mangoes, acetic acid, green chili, ginger, curry leaves and spices. 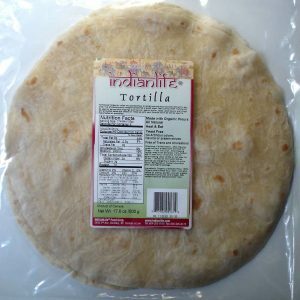 Filling: Lentil dal, water, onion, garlic, spices, salt, sugar, citric acid, non-gmo canola oil, mustard seeds, cumin, coriander, asafoetida, and green chili Wrap: Organic unbleached Flour, water, non-gmo canola oil, salt, evaporated cane juice, yeast, baking powder, and vinegar Big Brown Lentils: Lentil, salt, and non-gmo canola oil Brown Rice: Basmati Rice, non-gmo canola oil, and water.